Video demonstration project. 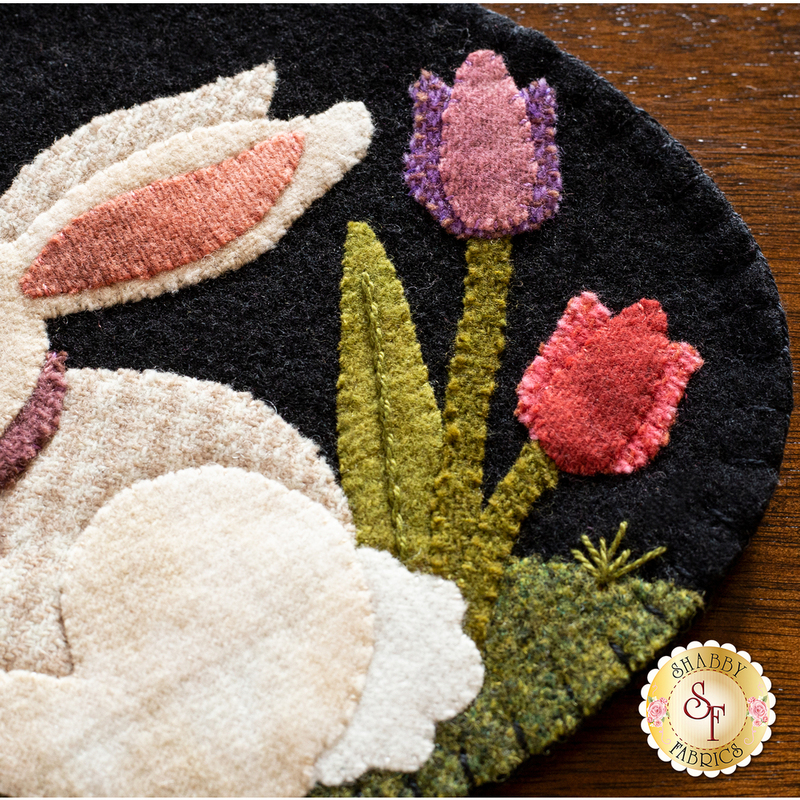 Follow along with Jen and Tammy for more detailed instructions in our "How To Make the Wooly Mug Mat" YouTube Series. Make sure to subscribe to the Shabby Fabrics YouTube channel so you are the first to know when the next month's design is released! 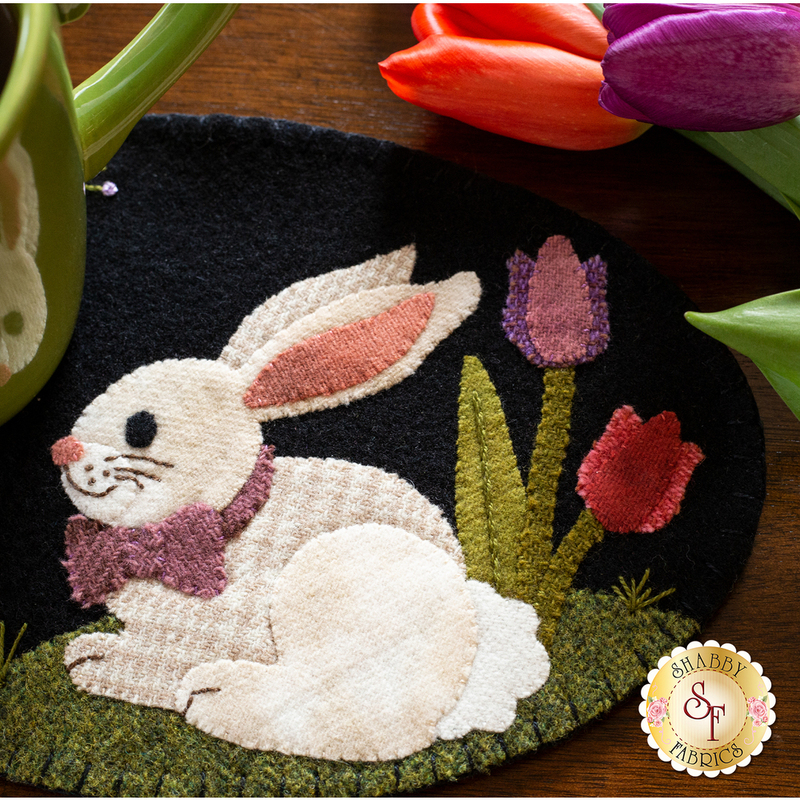 Enjoy colorful spring tulips and an adorable pink nosed bunny for the month of April! 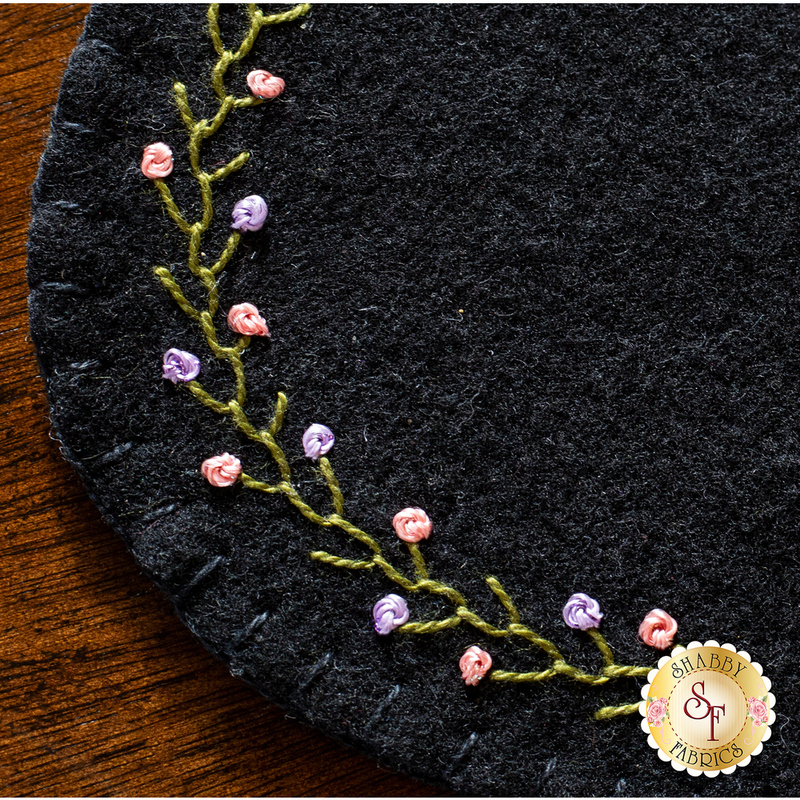 A delicate budding vine is created with beautiful coordinated embroidery threads and gives the perfect finishing touch to this adorable mug mat. 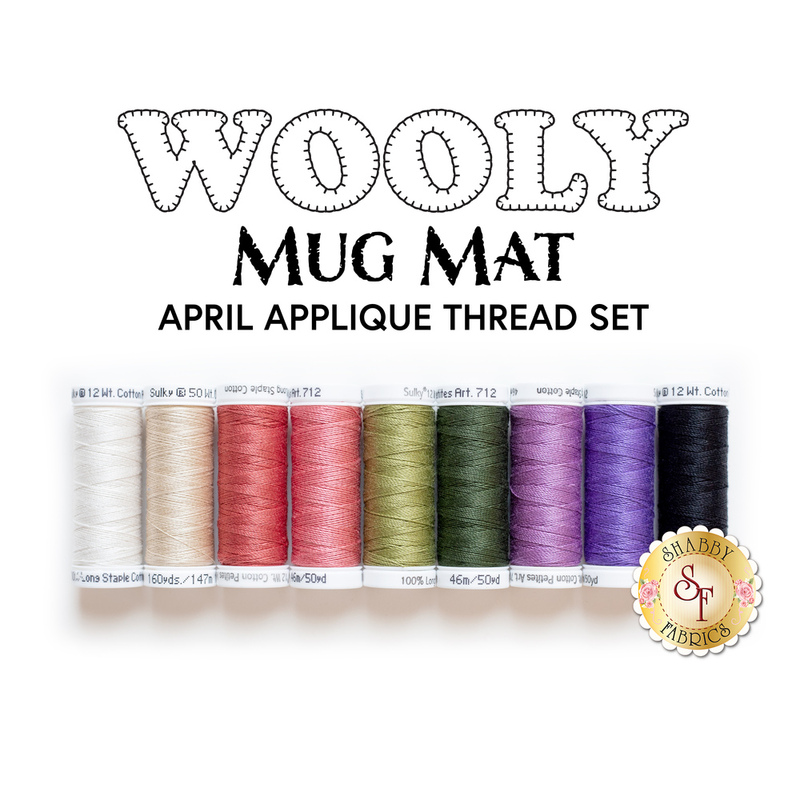 Made using 100% wool, the Wooly Mug Mat Series is a perfect way to bring the spirit of each month into your home! 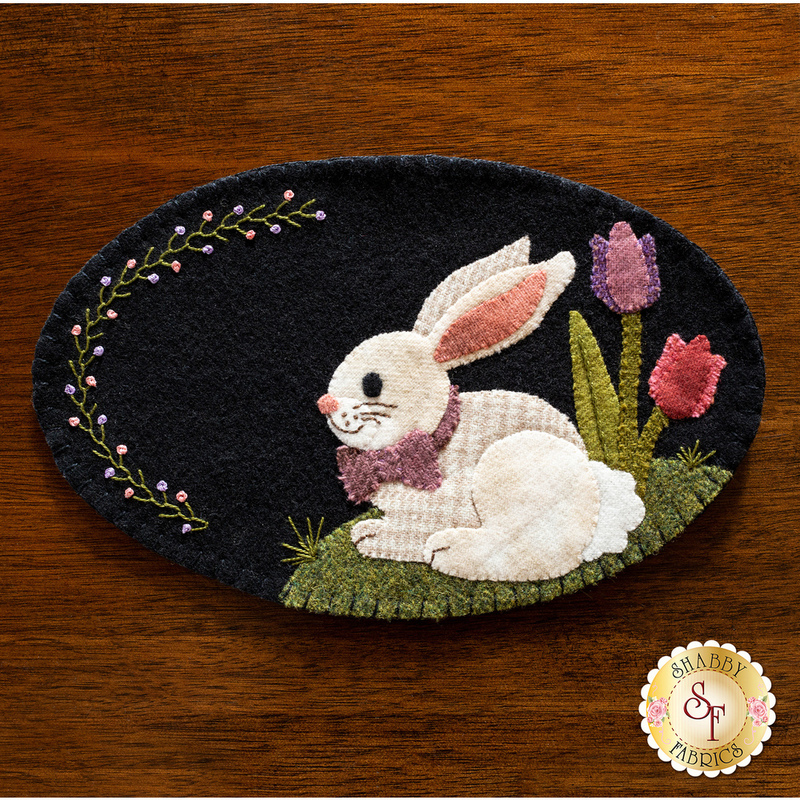 Each month's unique design features specific stitches using beautiful threads, and colored with rich, textured wool (many hand-dyed). Specifically designed with the beginner in mind, they are fun projects to look forward to making and displaying each month! Only available at Shabby Fabrics! 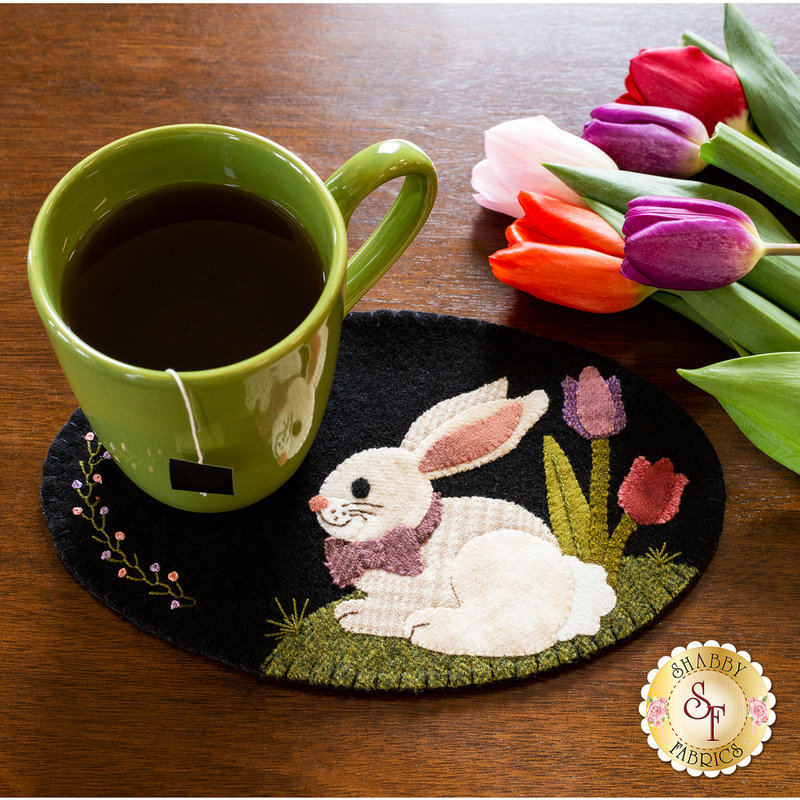 The Wooly Mug Mat measures approximately 9½" x 6". 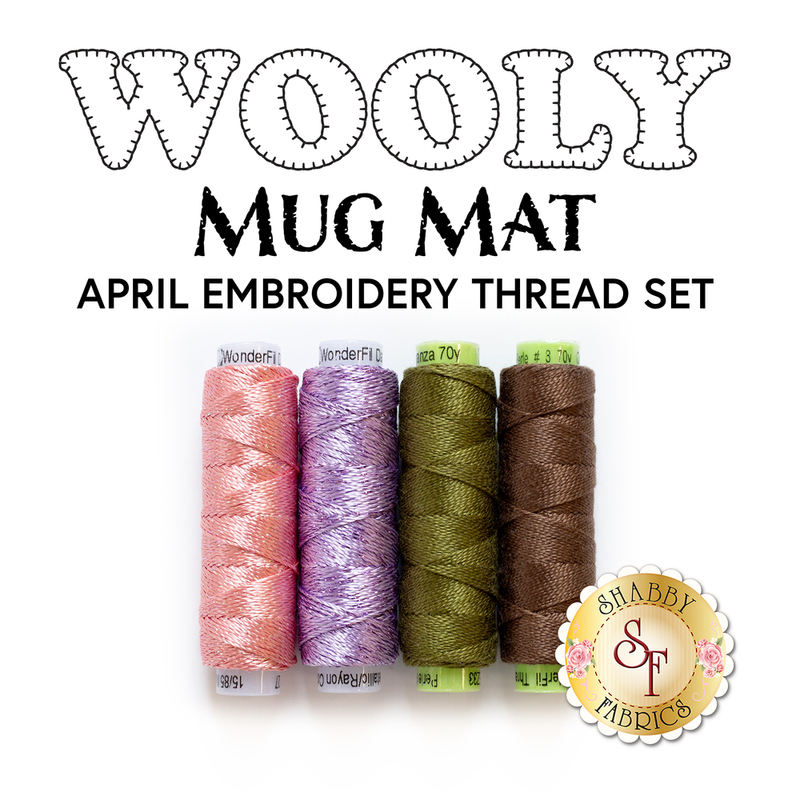 Download the Wooly Mug Mat - April Diagram HERE! Embroidery and Crazy Quilt Stitch Tool Book - Extremely helpful for learning the stitches that are demonstrated in the video for right or left-handed use.